TOKYO (Reuters) -- Honda Motor Co. said today its quarterly net profit jumped 20 percent as strong sales in the U.S. and a weak yen helped the automaker to absorb the impact of higher quality-related costs linked to a recall of cars equipped with Takata airbags. Between April and June, net profit at Japan's third-biggest automaker rose to 186 billion yen ($1.5 billion), from 155.6 billion yen a year earlier. Honda reported the first-quarter results under international accounting standards for the first time. Like other Japanese automakers, Honda has benefited from the cheaper yen, which boosts the value of repatriated earnings. Honda is still absorbing large quality-related costs as it continues to recall cars equipped with airbag parts made by Takata. The automaker has recalled tens of millions of cars globally since 2008 to replace potentially faulty inflators, including almost 5 million vehicles just two months ago. Regulators have linked eight deaths - all on Honda's cars - to Takata's inflators, which can explode with too much force and send metal fragments inside the vehicle. Honda, which didn't break out details of quality-related costs for the first quarter, restated its earnings for last year to reflect additional costs for the expanded recalls. 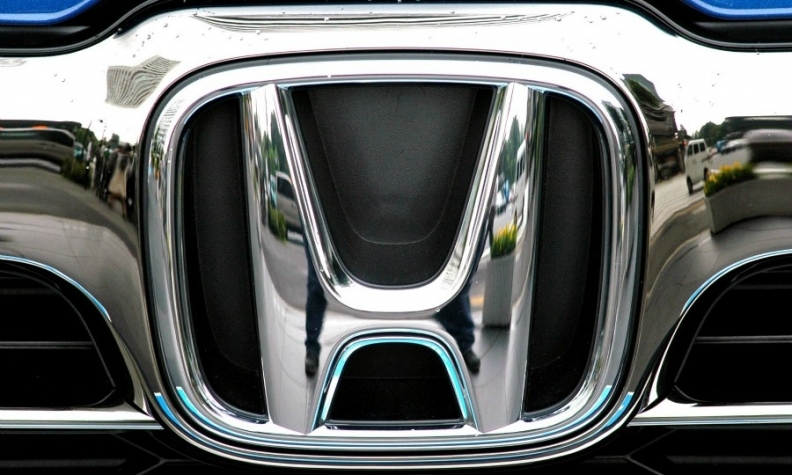 Honda said global car sales rose 4.9 percent to 1.14 million. Sales in North America advanced 11 percent in the first quarter, driven by increased production of its popular HR-V compact SUV at its new plant in Mexico. The U.S. market - its biggest - has been buoyant, with a range of automakers reporting higher sales there. Meanwhile, car sales in Asia jumped 19 percent, thanks partly to a strong performance in China helped by the refreshed Vezel SUV and other models. The gains in Asia and North America more than cancelled out a 27 percent drop in Japan and a 16 percent decline in Europe. Honda left its financial forecast unchanged for the year ending March 2016, calling for a modest 3.1 percent rise in net profit to 525 billion yen.